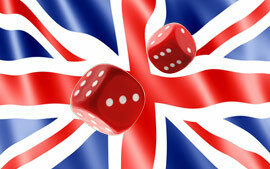 The British government has undertaken some measure to take control of various online casinos and betting organizations working on the territory of the UK. The new legislation was introduced on the 1st of November. The new regulations were made to accept a 15% point of consumption tax. The aim of these new regulations was to protect the UK gamblers of online casinos and to provide them with a number of benefits. The amount of online casinos operating on the territory of the UK has increased greatly during the recent time and they worked without a real control by the legislation and without players’ security. The introduced regulations are considered to be a positive event as they will protect online gaming institution from being a place of crime. According to the new legislation all the gambling operators like TradaCasino, which is licensed by the Gambling Commission, should give its users the link to the official register to prove its legitimate status since November, 1st. More than 150 gambling online operators applied for the necessary license, although there are some companies that decided to leave the UK market. There are several conditions under which it has become possible to obtain a license. Among the conditions required is a code of practice or LCCP to guarantee that the organization is providing its users with a fair and open play. Some other conditions deal with the players’ money accounts and will be rather helpful for those players who are addicted to gambling. Not all the operators consider these new regulations ideal as it is aimed at excluding some of them, this legislation is rather advantageous, as it protects the interests of the players. The legislation guarantees that all the equipment of the gambling institution, such as Slots and online Scratchcards, has been checked by the legitimated organizations before it is open to the general public and the results are fair. Thanks to this new legislation, UK gamblers can feel themselves more freely while choosing the online casino for playing. The new regulations were created to protect the interests of the UK gamblers, to give the precise information and protection that they need when they start online gambling. Thank you for writing such a great infmtoarive article for today’s modern readers. Two thumbs up for great content and interesting views. I could only aspire to write like this.